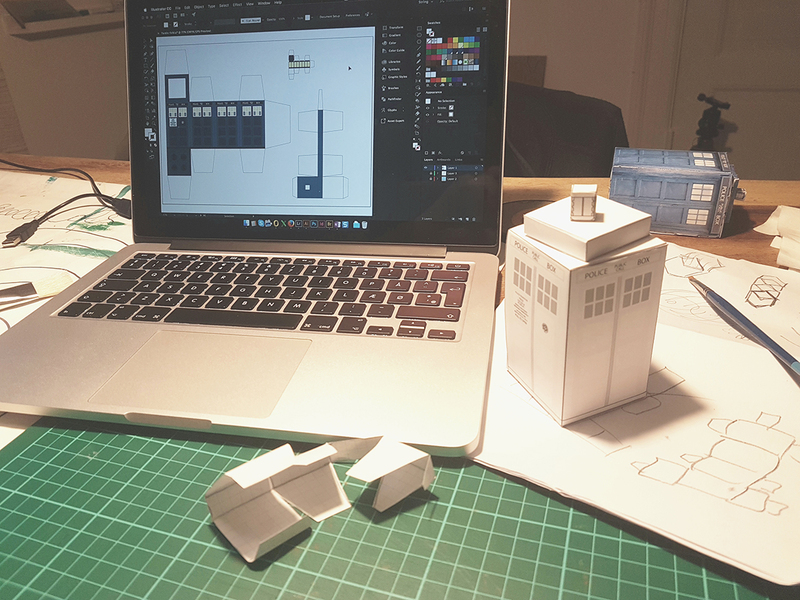 I wanted to create a “easy to do” tardis box. And minimize the use og glue and difficult cut outs with a knife. So, I made this: A foldable rectangular cube. 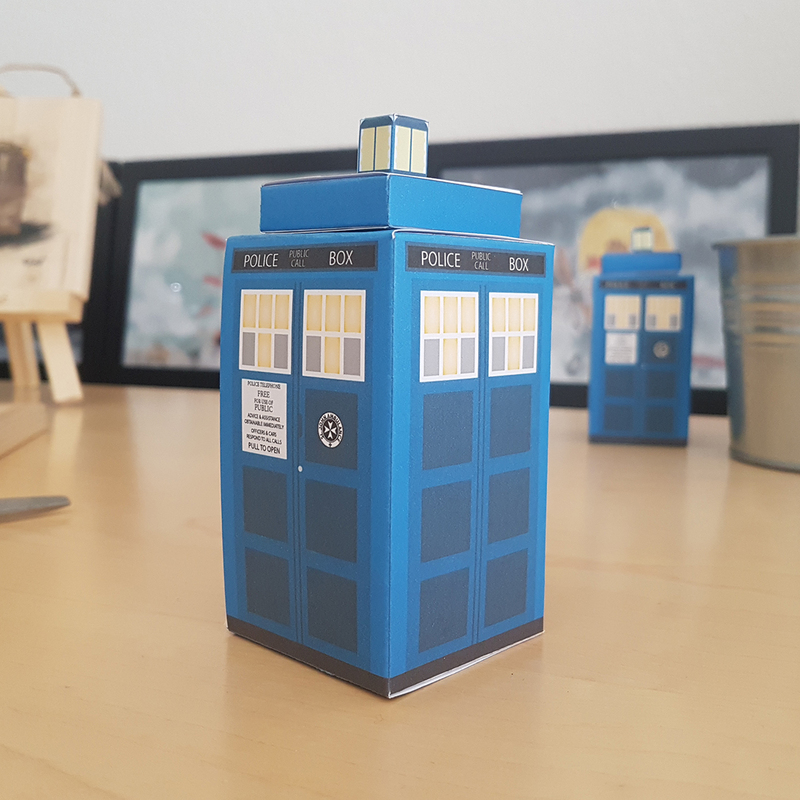 The TARDIS; Time And Relative Dimension In Space) is a fictional time machine and spacecraft that appears in the British science fiction television programme Doctor Who. It’s bigger inside. When something looks small from the outside but is much larger inside. It origins froma Police box. A telephone kioskfor the use of members of the police, or for members of the public to contact the police. The interior of the box was a miniature police station for use by police officers to read and fill in reports, take meal breaks and even temporarily hold prisoners until the arrival of transport. 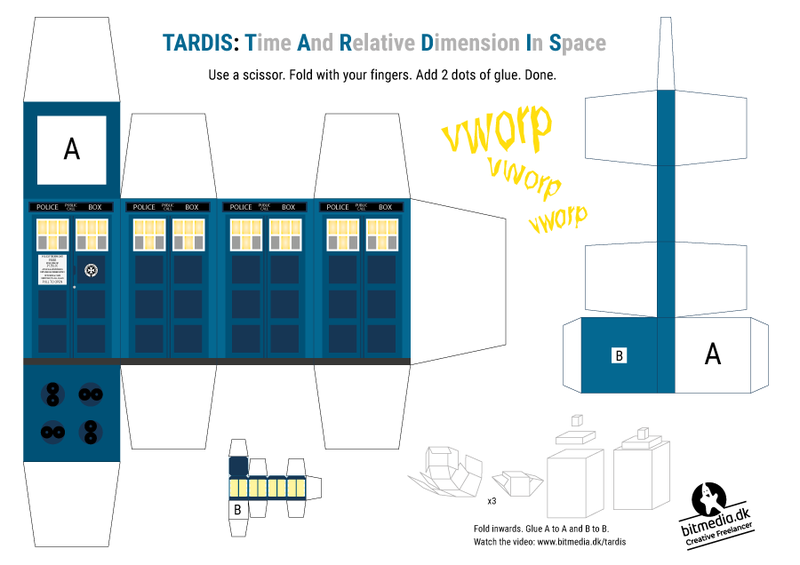 But now more known as a time travel box!